It’s difficult enough looking at an entire wall of multivitamins in the store but being able to pick out the professional grade high quality multivitamins involves a little bit of detective work. A daily multivitamin mineral (MVM) supplement is designed to prevent nutritional deficiencies and bridge the gap in your diet. While a healthy whole foods diet should provide what your body needs, there are several reasons why it may not such as mineral depleted soils, decreased intake of whole plant foods, and vitamin or mineral depletions caused by prescription medications. Among US adults, multivitamin use has been associated with a lower risk of nutrient deficiencies of vitamins B6, B12, C, and D. It’s very common to see vitamin D deficiencies in my practice with people working so much and constantly wearing sunscreen when they do go out in the sun. Since supplements are considered a food by the Federal Drug Administration (FDA), they are not subject to strict regulations. 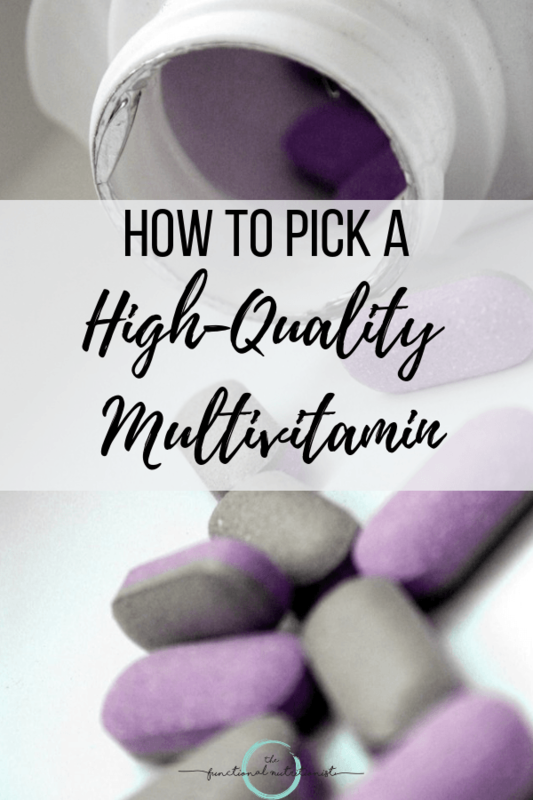 This is why it’s so important that you know how to identify a high-quality multivitamin. If you decide to take a daily multivitamin and mineral supplement, there are several key qualities to look for when finding a multivitamin that will perform as expected. Here are my top considerations when selecting a high-quality professional-grade multivitamin and mineral supplement. At the end of the article, I also recommend a few brands that I take myself or recommend to my clients. Synthetic versions of vitamins are artificially made in an industrial process using coal tar derivatives or other chemical sources, but not food. These are designed to mimic how natural nutrients act in the body. These synthetic compounds are structurally different from vitamin complexes found in real whole foods. Most supplements on the market today are synthetic. This doesn’t mean that they are completely ineffective, but they are not always equivalent to the natural form and may not be absorbed as well as natural forms. When eating whole foods, the natural form of vitamins are packaged with co-factors, such as other vitamins, enzymes and minerals that help your body recognize and metabolize them. Many synthetic forms lack these co-factors and transporters so they may not be utilized the same way as foods or natural vitamins containing a full complex. For example, vitamin C is always found with bioflavonoids and other compounds in nature, but the same is not true in many multivitamin supplements. It’s not very clear whether synthetic nutrients work the same in the body, and some may be better absorbed than others. A good example is natural vitamin E, which has been shown to absorb twice as effectively as synthetic vitamin E. According to The Organic Consumers Association, isolated vitamins cannot be used or recognized by the body in the same way as the natural version. Look at the vitamin label to determine if your MVM contains synthetic or lower quality forms of vitamins and minerals. The “dl” form of any vitamin is synthetic. Also, look for the salt form of supplements indicating the synthetic versions is being used. They will include the words: acetate, bitartrate, chloride, gluconate, hydrochloride, nitrate and succinate. A high number of milligrams is often another indication of a synthetic source since natural vitamins don’t need mega doses to be effective. For maximum absorption of minerals, it’s best to choose a multivitamin and mineral supplement with chelated minerals, which are minerals bound to amino acids. The label will some “chelated calcium”, for example. While synthetic vitamins may be effective in most cases, I always choose options that are closest to nature. Ideally these should be food based supplements, and when not, they should contain the most biologically active forms of vitamins. Many vitamins require conversion into the active form of the vitamin once in the body, which occurs at a metabolic cost. 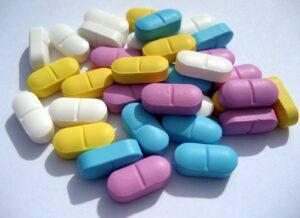 These are also referred to as the “activated” form, “coenzyme” form, and “methylated” form. Older people or those with certain genetic variations have trouble with these biochemical conversions. If you are unsure if you have any of these genetic single nucleotide polymorphisms (SNPs), then you can choose a multivitamin supplement that contains the activated form, which will bypass the impaired gene/enzyme so it can more readily carry out its function. Not all trusted brands have all of these, but they are good indicators of a high-quality multivitamin. Current Good Manufacturing Practices (cGMP), set by the U.S. Food and Drug Administration, ensures quality control, cleanliness, receiving and testing of raw materials. Raw ingredients are tested for purity and checked for microorganisms, heavy metals (lead, cadmium, mercury), mold, and pesticide residues. Look for the clinical trials behind the supplements to test for efficacy. Many of my favorite supplement providers, such as Klaire Labs and Pure Encapsulations, cite the research behind their choice of ingredients and their products. Magnesium stearate and stearic acid are flow agents that help with capsuling and tableting the supplements. When these encapsulate the nutrients, the digestive system must break them down before absorption can occur. For individuals with compromised gut function, this may result in suboptimal efficacy. Since most nutrient absorption occurs in the small intestine, magnesium stearate may cause the nutrient absorption to be delayed or pass through the small intestine unabsorbed. While I don’t consider this ingredient extremely toxic, it certainly isn’t necessary and it’s an additive that provides no nutritional value. High quality supplement manufacturers generally do not need this ingredient because they run their machines slower. There are other more natural flow agent options available such as brown rice powder, so I view this ingredient as an indicator that the supplement company is using cheap ingredients. I also look for GMO (genetically modified organism) free supplements. According to the Non-GMO Project, a GMO is a living organism whose genetic material is artificially manipulated in a lab to create a combination of plant, animal, bacteria, and virus genes that do not occur in nature or through traditional crossbreeding methods. Most GMOs are engineered to withstand direct application of insecticides and herbicides, such as Roundup®, in order to increase crop yield, which means you will be ingesting more of these chemicals on the GMO foods you eat. The true safety of GMOs is unknown due to lack of long-term feeding studies. However, more than 60 countries throughout the world (Australia, Japan, the European Union) require that GMO foods be labeled so that consumers can make their own choice, but shockingly the US and Canada do not require this labeling. In 2015, the World Health Organization (WHO) determined that the herbicide glyphosate (ingredient in Roundup®) is “probably carcinogenic to humans.” GMOs in supplements often come from sugar beets and corn or soy derivatives. Look for Non-GMO Project seal or supplements labeled as GMO-free. Since tablets require more binders, coatings, disintegrates and other excipients, they are less desirable than a hypoallergenic vegetarian capsule. Depending on many factors, these binders may not digest well, and they may cause you to find your supplement intact in the toilet. When buying gel capsules, try to avoid ones that contain soybean oil or canola oil since these can often be from GMO crops. The safer options are olive oil, coconut oil, MCT oil or sunflower seed oil. Many of the above brands are found in my online dispensary. Click any product above to view pricing and to purchase. You will be asked to create an account with my online supplement dispensary. As a clinician, professional grade supplements are a significant contributor to the positive changes I see in my clients. Dietary changes can take a long period of time, and high-quality supplements help to bring about more immediate effects than with food alone. Nutrients come from whole foods, while synthetic nutrients are created in the lab. Take your supplements with food for better absorption since this provides additional cofactors and fat for better absorption of the fat-soluble vitamins and nutrients. Divide your multivitamin in two doses since water-soluble vitamins will just get excreted when in excess. Do not take a multivitamin with iron unless you are iron deficient. Even in this case, I recommend taking iron as a separate supplement so you can control the dosage. 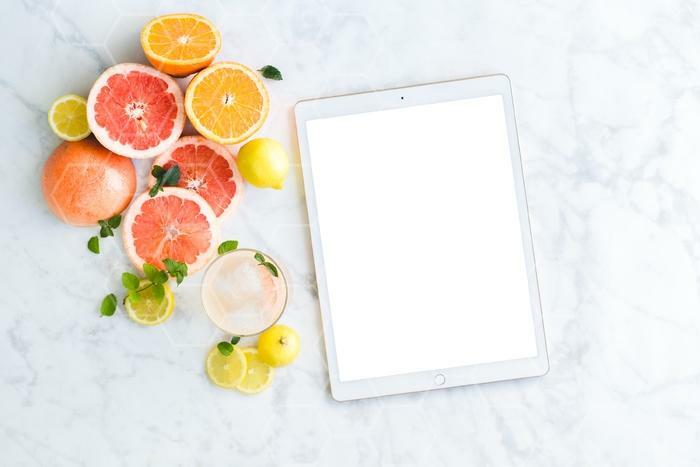 If you would like personalized vitamin and supplement recommendations tailored to your specific health status, you can sign up for a nutrition consultation here. Blumberg JB, Frei BB, Fulgoni VL, Weaver CM, Zeisel SH. Impact of Frequency of Multi-Vitamin/Multi-Mineral Supplement Intake on Nutritional Adequacy and Nutrient Deficiencies in U.S. Adults. Nutrients. 2017;9(8):849. doi:10.3390/nu9080849. Blumberg JB, Bailey RL, Sesso HD, Ulrich CM. The Evolving Role of Multivitamin/Multimineral Supplement Use among Adults in the Age of Personalized Nutrition. Nutrients. 2018;10(2):248. doi:10.3390/nu10020248. National Institutes of Health. “Office of Dietary Supplements – Multivitamin/Mineral Supplements.” NIH Office of Dietary Supplements, U.S. Department of Health and Human Services, 8 July 2015, ods.od.nih.gov/factsheets/MVMS-HealthProfessional/. Office of Dietary Supplements – Vitamin E. Ods.od.nih.gov. https://ods.od.nih.gov/factsheets/VitaminE-HealthProfessional/. Published 2018. Accessed September 4, 2018. The Non-GMO Project – Everyone Deserves an Informed Choice. Nongmoproject.org. https://www.nongmoproject.org/. Published 2018. Accessed September 4, 2018. USP. Usp.org. https://www.usp.org/. Published 2018. Accessed September 4, 2018.